Clayfest 2019, Come and join us to meet a new network, for knowledge, skills, discussion and inspiration. 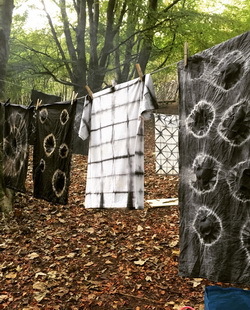 mini Clayfest 2019, 21st to 23rd June, Centre for Alternative Technology, Machynlleth, Wales. Hello Earth Building enthusiasts, and welcome to EBUKI mini Clayfest 2019! 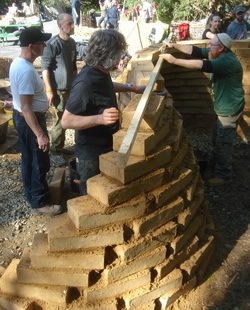 - International Festival of Earthen Architecture in Machynlleth, Wales. This will be our 5th Clayfest, the theme is Confidence in Clay. After four hectic years of Clayfest we are refocussing this year with a shorter event, Conference followed by a day of demonstration workshops. We hope conference goers will stay over and look at the latest developments in CobBauge while extending their networking from the conference day. This is part of a build up to a bigger Clayfest at CAT in 2020. With our partners at CAT this will cover new build, heritage, training, networking and get an EBUKI Welsh Regional Group well and truly established. We are also running a training for trainers event on Saturday the 22nd to try out work we have been doing in the JUMP! T4T project. If you are an experienced earth builder who trains others we would love you to join us, please let us know info@ebuki.co. 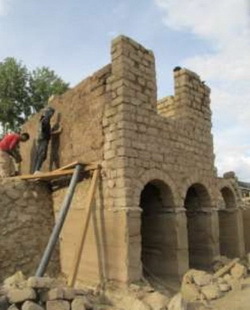 Earth building is having a renaissance with people trying many new ways to work with some of the oldest materials and techniques. From the structural to aesthetic, thermal properties to colour we hope to encourage and show that earth in buildings can exceed all expectations. Last year Clayfest got a lot of great feedback, most people rated it as very good or excellent, 80% said they would recommend Clayfest to others. It's a chance to try things out with a group of experts working together, asking and answering questions over four days, the biggest earth building event in the UK and Ireland! After Conference, a day of inspiring talks, let your hair down, get your dancing shoes on and have the craic with your new best friends at our annual hooley. Enjoy dinner and a part to celebrate another years earth building. They will share with us some hot and spicy Gypsy swing to get us bopping through the solstice. They use megaphone, guitars, violin, clarinet and double bass and do originals and some refreshing remakes of classics. Contact info@ebuki.co if you need assistance (we might be able to help, but we might not!). Conference Speaker Lineup Friday June 21st. JUMP! - training for change in eco-building. Earth and other forms of eco-building connect us with the origins of how humans construct their habitats in a finite natural world. They are also a pathway to delivering a sustainable future, not just in the fabric of our buildings, but in the way we live and work together. But how can we make that change? Developing Earth (in the) Developing World. CobBauge, an attempt at regulatory and technical optimization of traditional cob. The current confident use of cob in new building is of great interest in reducing energy expenditure and CO2 emissions during construction. But this performance does not meet current in-use thermal regulations. CobBauge, through the study of different plant fibers, the characteristics of different soils, seeks to give the keys to an optimization of the mixes and implementation processes making cob compatible with the regulations, economically more affordable, technically and aesthetically more acceptable. 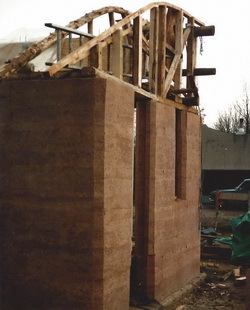 François is an architect and one of the French specialists in cob building. He works in the Regional Nature Park of Marshes of Cotentin and Bessin to preserve the cob heritage and strengthen the redevelopment of this constructive culture in Normandy. He is also a trainer for professionals and a teacher at ESITC Caen and ENSA Normandie. What does an anti-capitalist building site look like? This talk takes a deep dive the culture and economic system engrained on our building sites and within the wider industry. As entrepreneurs we have the power to build businesses that embody our values and in the process create a culture shift towards honesty, generosity and self care. How can we do that and what would it look like? What are anti-racist business practices? What is a feminist building site? In 15 minutes I will attempt to deconstruct the roots of the existing culture and explore some practical steps that embody a shift towards a community minded economic and social system. Emma is a builder who has been working in the trades for the last ten years and trained in heritage wood work with the Princes Foundation. She builds new small houses that are warm, bright and just enough. And complete renovations of existing properties using natural materials. Based in Machynellth, she works throughout the UK. Training and education: challenges for unique buildings. Nell’s talk will focus on the disconnection between mainstream construction and more individual, unique forms of building in terms of training and understanding materials. She will talk about the challenges of ensuring that the next generation of builders know about traditional methods and materials, and the difficulties of educating builders, specifiers and building control about the performance of solid walled buildings. Nell Hellier is Senior Built Heritage Officer at Carmarthenshire County Council. She is responsible for the delivery of the statutory listed building consent service in Carmarthenshire as well as running the Tywi Centre which deliver heritage building skills training to the construction industry across Wales. 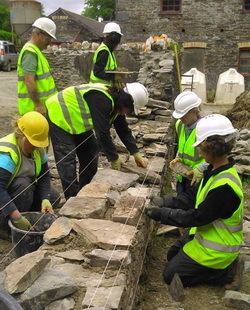 The Tywi Centre has played a key part over the last 10 years in the growth of traditional building skills in Wales, particularly supporting training in heritage plastering, carpentry and stonemasonry. Designing & Constructing for a Circular Economy. Andy is the Chief Executive Officer of the AECB (part-time). Andy is also an architectural designer and builder and a partner in Simmonds.Mills, a practice which specialises in ecological design. Professionals Forum as part of the World Heritage Committee Meeting in Bahrain. 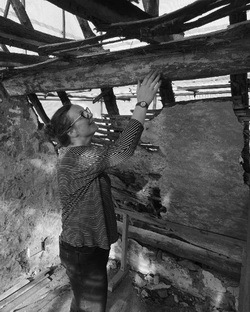 Zoë Quick is an architect and academic working across fields of architecture, art, performance and ecology. She is fascinated by the way material myths, metaphors and magic bind culture with nature. Paul Fitzpatrick is a cob builder, clay plasterer, adobe vaulter and general top earth bloke. Based in Cornwall, many of you will have met Paul and learned from him at Clayfest in recent years. This year he is going to share his experience of building with earth and training people while building on site. 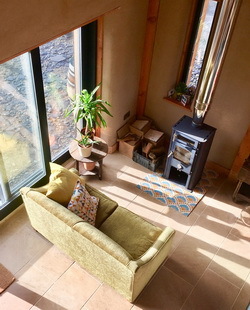 Come along to our fantastic free day, get involved in experimenting with cob and fibre to meet UK Building regs (part L) CobBauge insulated cob. 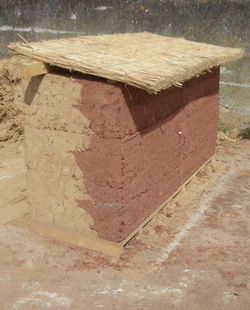 Be part of building an innovative rammed earth vault. Gain some clay plasters skills and experience with our visiting experts on coloured and decorative finishes which could be part of your next dream bathroom! Clay Day is a chance to network with a wide range of earth builders, designers, producers and clients. This is a day for builders, self builders, designers, producers, clients and skill seekers to get to know each other, see some of the latest developments and best practice in earth building. There will be a range of natural and earth based products to see, feel and talk about with the manufacturers. Please bring us a research poster at A1 or AO size, send us a request here. There will be a sponsors area contact here for sponsorship information and opportunities. This is a chance to reach a fullly engaged earth building audience for your fantastic earth and related products. We'd like you to stick around after conference, join us for a meal and the band and then take a walk around and see whats going on on Saturday. Clayfest was started to give people a chance to network while getting their hands dirty, to "extend the tea break" and really find out what others are doing. Clay Day is a shorter version on Clayfest but it gives a sense of what the longer 2020 event will be like. Home owners or self builders can start to get a sense of what is needed to reapir, extend, maintain or improve their properties while builders get to look at some of the latest innovations in the earth world, speak to the experts and producers and place an order!